RV Extended Warranties for Winter Texans! Texas is one of the most popular states among our RV extended warranty customers. While Texas has a multitude of attractions to draw guests all year around, they are perhaps most well-known for housing snowbirds, or RVers who flee impending cold weather each winter. These “Winter Texans” often head for coastal towns that are warm all year around. From Corpus Christi to San Antonio, or Galveston to Austin, Texas holds history, desert, wide open spaces and bustling metropolis’ to keep its visiting RVers occupied. Our motorhome warranty clients also mention that Texas is a must-visit as you head West. Even if you are just passing through, and not staying for the duration of the Winter months, Texas is a great place to spend a few nights of your road trip. 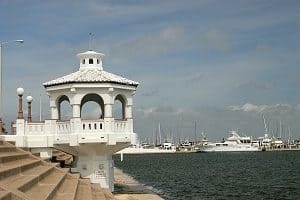 The cost of living–and thus, visiting–in Texas is one of the most affordable in the country, and there are RV parks ranging from basic to luxury littered throughout the Lone Star state. Whether RVing, driving, or visiting Texas to play with your powersports toys, there is sure to be a city, campground, or attraction to suit your needs. And RV extended warranty users can rest assured that a repair facility will never be out of reach. As we create more relationships with knowledgeable and legitimate repair facilities, dealers, and campgrounds throughout Texas we will continue to expand our online recommendation yellow pages. So work Texas into your travel plans this Winter, and enjoy a wonderful community dedicated to history, the outdoors, and making the most of your leisure time!